Of late I have discovered a renewed love for anything French including food, accents and subtitled films set in the city of love. I have even signed on to a French language course in Melbourne next month in an attempt to rediscover the Francophile within. With the devastating news still haunting me that one of my favourite French restaurants PM24 has closed I have been on the lookout for a replacement that would satisfy my French cravings. 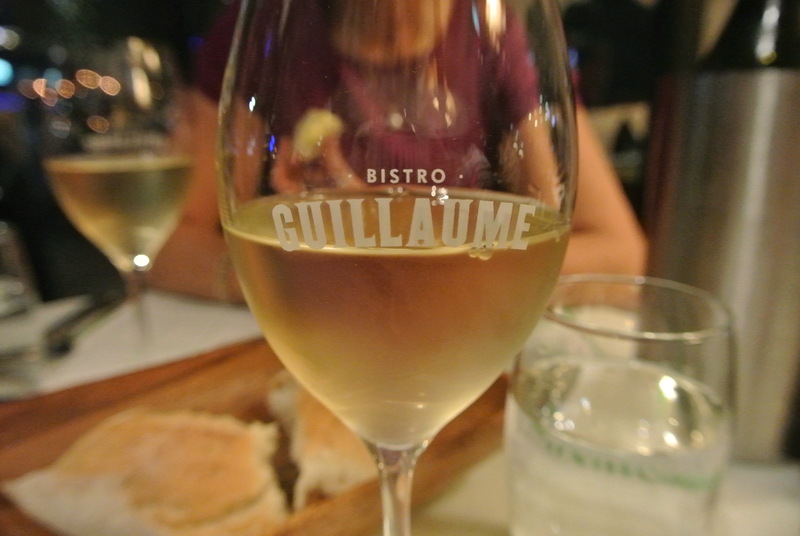 Not quite sure what took me so long to try the French outpost Bistro Guillaume by Guillaume Brahimi (considering it has been open since 2008! )...my only excuse is to plead the fifth and admit to being seduced by the many shiny new restaurants that keep opening up in Melbourne. 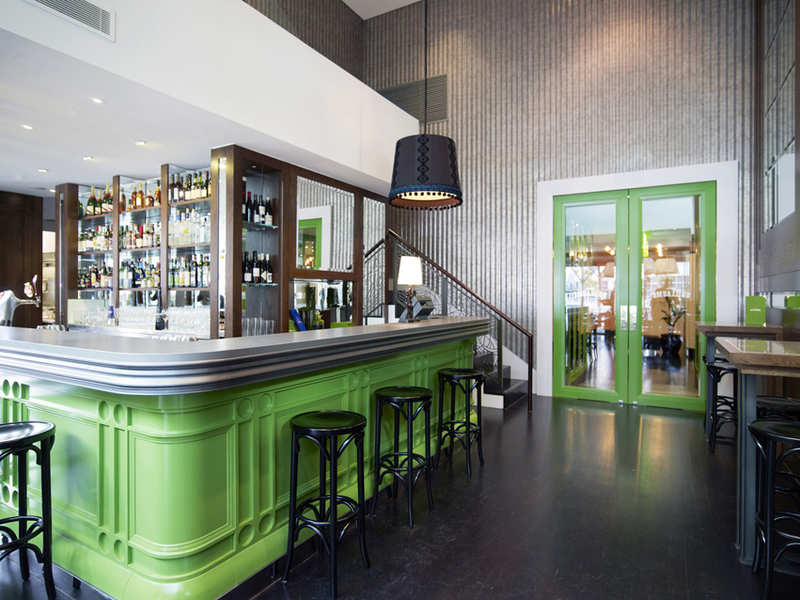 Finally I decided it was not enough to walk past the lime green doors of Bistro Guillaume and tell myself "I must try that place." The restaurant is everything I imagine a classic Parisian bistro to be and upon entering the lime green wooden doors I run my eye around the restaurant. There are the classic wooden Brentwood chairs and marble-topped tables, the zinc-topped bar with more of that eye popping lime green wood and a large terrace that caters well to Melbourne's balmy summer evenings. This is a stunning take on the classic French bistro. Perhaps one of my favourite features at Bistro Guillaume is the billowing skirts of the lights that seem to dance across the ceiling in some sort of private dance. Daily specials are scrawled across the chalkboard as I imagine they would be in Paris. Perhaps one of the reasons that Bistro Guillaume has survived so long where many other restaurants have failed is that it has a real sense of identity and also caters for all tastes and budgets. 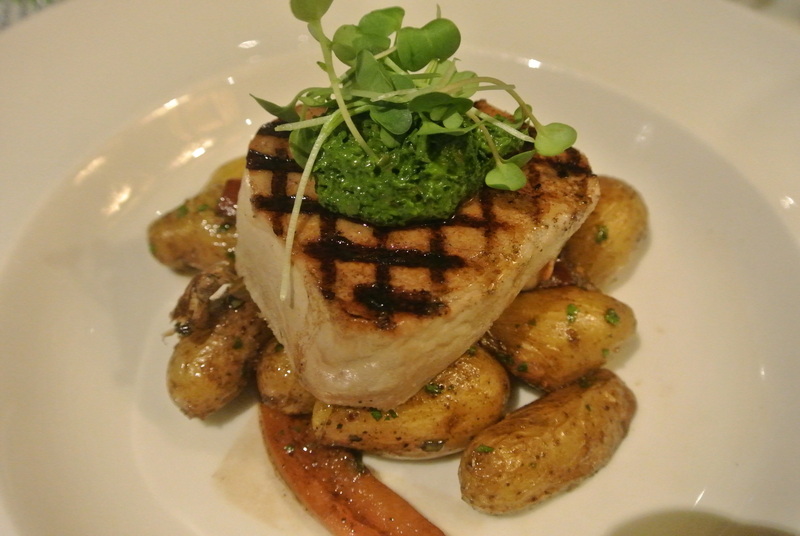 The prices are very reasonable with main dishes sitting at around the $35-40 mark. There is also a daily changing plat du jour menu offering French classics such as a hearty cassoulet on Wednesdays and a bouillabaisse on a Friday. The selection of salads to either accompany the mains or for the health conscious is varied and tasty. 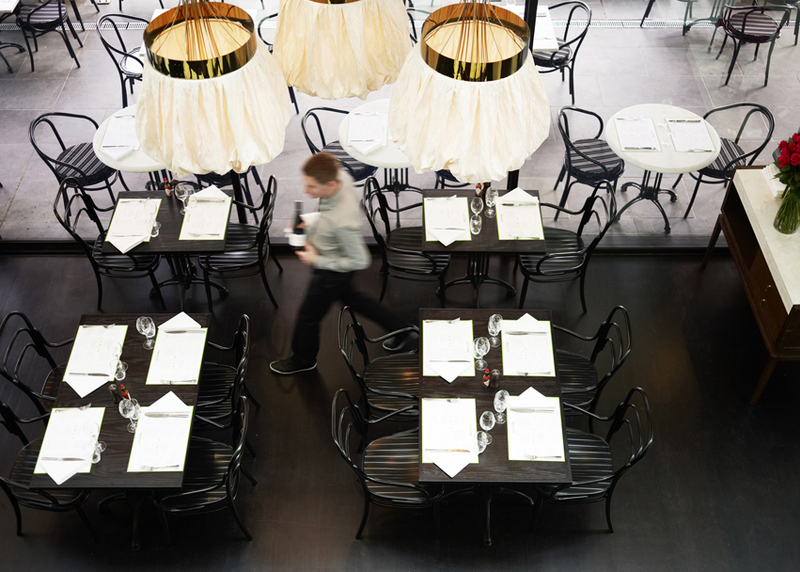 Bistro Guillaume also continues to hold its one hat status in the Age Good Food Guide for 2014. We begin with a beautiful bottle of crisp French white wine, similar to a pinot gris and peruse the menu. 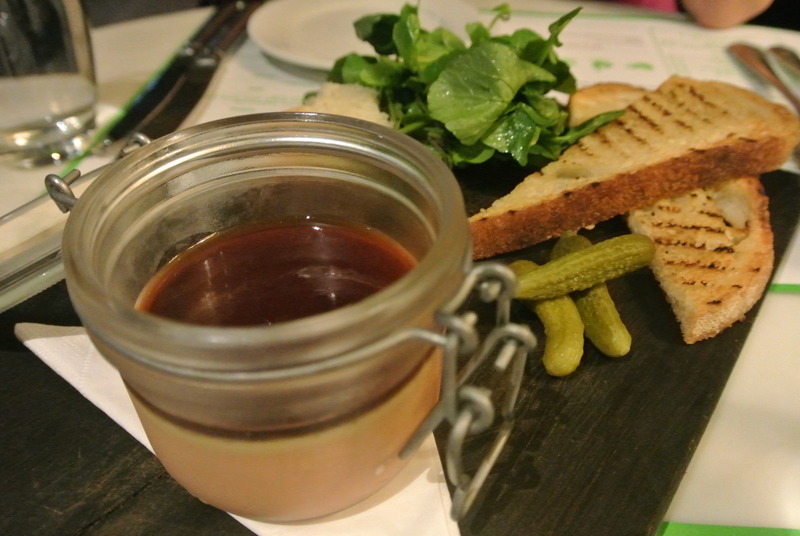 For entree we share the evening's special; duck liver parfait with cornichons and lightly toasted crusty bread. I love a good parfait and this is as good as any I have tried. Rich and flavoursome, the cornichons cleverly cut through the richness of the parfait with their crunchy pickled tartness. The evening is off to an assured start. For mains I went with the Yellowfin tuna with crushed kipfler potatoes, red capsicum and salsa verde, while my dining companion chose the classic half roasted chicken with Paris mash and chicken jus. 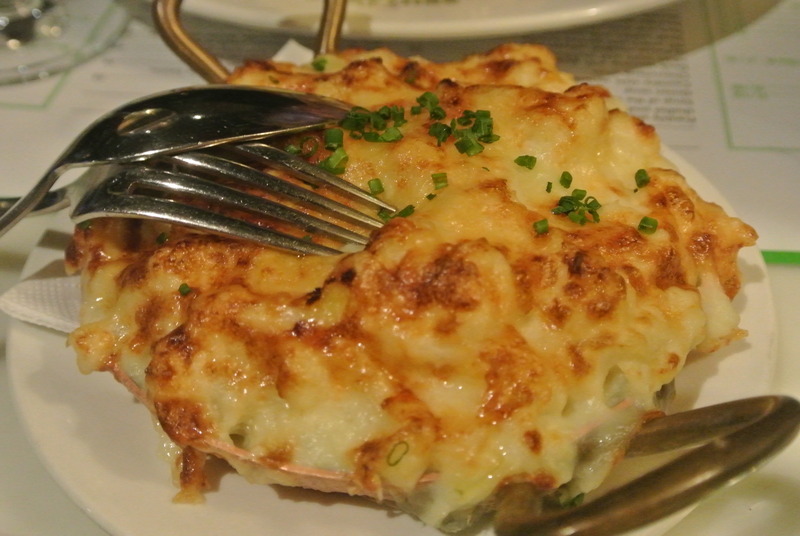 Our side of choice was a plump cheesy dish of cauliflower gratin. Honestly could there be a more heartwarming, delicious and good looking dish than a classic cheesy French gratin! I think not! 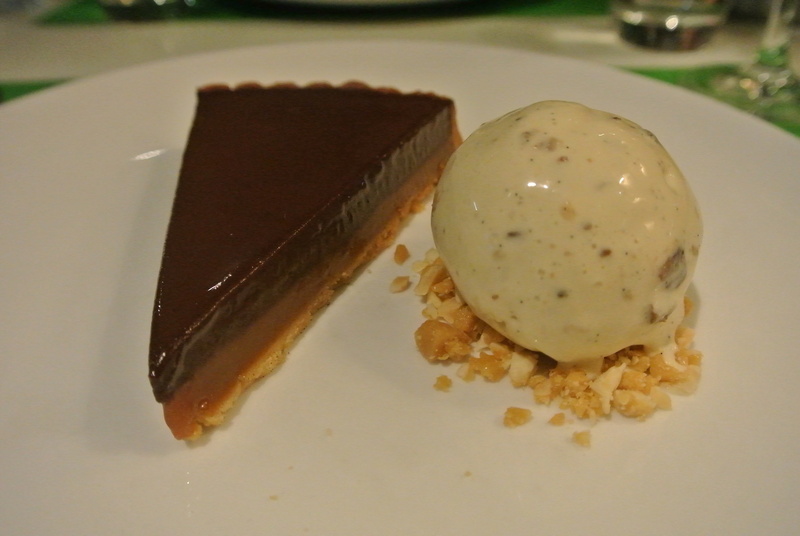 As a finale to a great meal I settle on the dessert special for the evening- a rich chocolate and salted caramel tart which is accompanied by a sphere of rum and raisin ice-cream. This dish is faultless and although rich I cannot stop eating it. 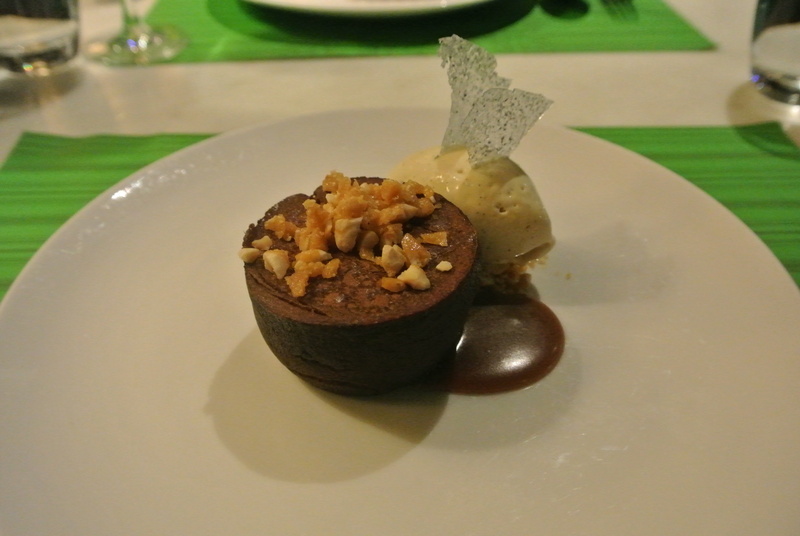 Both craving chocolate we also try the cooked-to-order chocolate fondant with vanilla bean ice cream and violet tuile. The spoon dives into the just set fondant and the chocolate ganache oozes out excitedly across the plate. It is a performance worthy of applause. 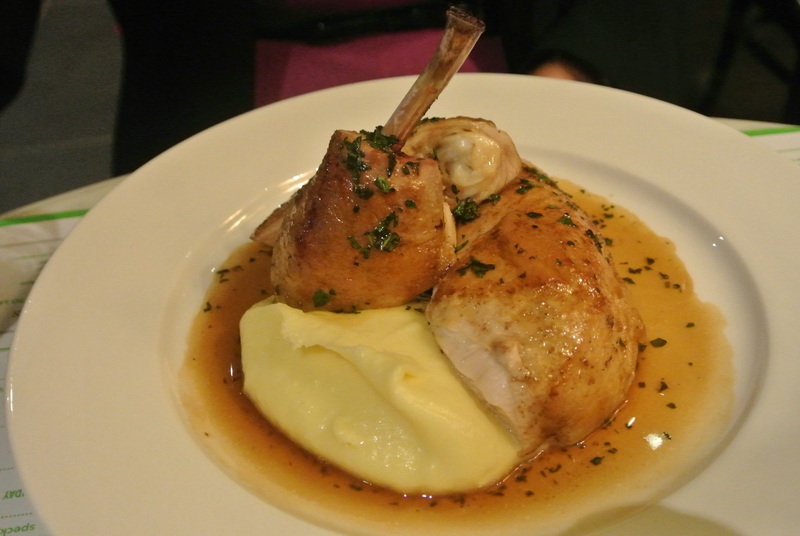 If you are looking for classic French food done extremely well look no further than Bistro Guillaume. I look forward to another date behind the lime green doors soon. 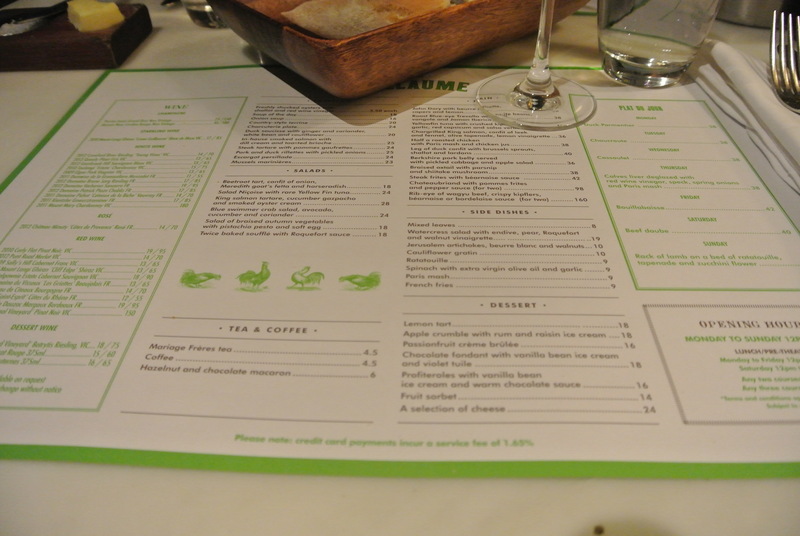 Would love to hear about your favourite French restaurant- comment below or on Facebook or Instagram.